Woooooo I likey! Solid as always ? Sweet baby Jesus! Come to papa. ? Love the smoking wizard levitating a mushroom! That wizard would make such a sick mini print!!! Wowzer. Real eye candy. Love the colors as always. Really hope 2016 will allow me to add to my collection. Peace. This would look so sick on paper I bet! Sweeeeet! Hoping 2016 is kind to you all and I really hope 2016 is kind to me in the form of Spusta artwork, it’s been too long and I have missed receiving Spusta artwork! Here is to hoping for an early Tuesday’s release cause Wednesday’s work isn’t too helpful in acquiring Spusta artwork. eye dig that design owl-ot – cheers! Let me at it!! Looks amazing! I’d dig this on a 10″ x 10″. when can we buy a tshirt? Marq, any chance you will be releasing more things in the store today? I really am striking out here and just don’t think my luck is going to change. 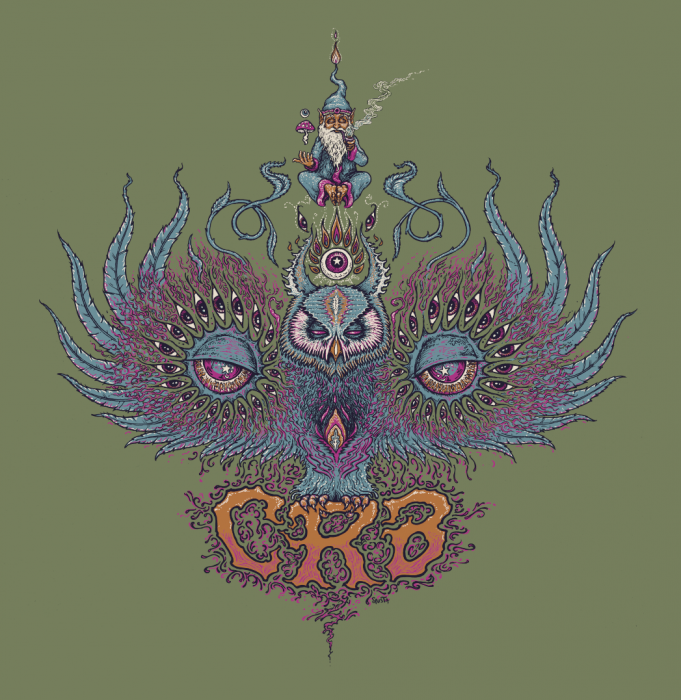 Chris Robinson Brotherhood ….So RaD my MaN !!! Wowzers! This is phenomenal! Love Love Love, need need need! I know this isn’t the place to ask this particular question however I am not sure where would be the best place to ask so going to hope for a response here. I see you recently listed a sticker pack in the shop and it says they will be released Wednesday eve. So my question is that Wednesday evening or the eve of Wednesday(meaning Tuesday late night?). Just wondering if I missed out on these or are they still to be released? I know the listing said “these packs are very limited and will not be available after today.” Thanks for the help! Hey Marq, thanks for holding the drop until a little later at night on the stickers! You gave me a chance to purchase something this Wednesday when I usually miss out with work and all. Saw the add to cart button and got pretty excited! But must have been just a bit late cause the red circle no sign showed up. Oh well here is hoping that February’s drop and this year will be kind to me in the form of some Spusta artwork! ^^^ More of these messages please! Win or lose its nice to have a shot. At least with shop drops the flippers have to work for the art. Plus the new shop is working beautifully! Thanks for the classy post John C! And thanks to Marq and the Gnomes! Your hard work and dedication do not go unnoticed. But i have learned as the years go by that Marq’s work is finally(been for some time now) getting it’s due and others have found his work to be as interesting and enjoyable as i have found it to be! Thanks again for the kind words Scrotey, i hope you and I can post a +1 comment some time soon on a future print release!